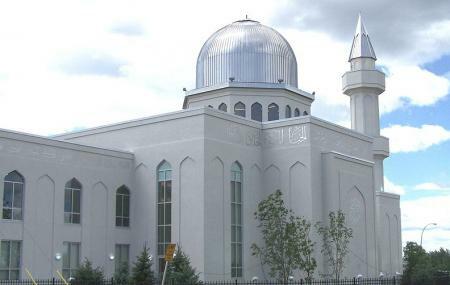 Baitun Nur Mosque Calgary is the largest mosque in Canada where people from every community come to worship. This is the best place to come and admire the good Islamic architecture alongside learning about the religion. The imams of the Baitun Nur Mosque Calgary are very generous, and they try their best to deliver the message of faith and love among all the communities. You will love the atmosphere of communal harmony here. Millions of visitors come here to take part in fundraising ceremony, food drives, blood donation camps and other Islamic conferences. This is the best place in the country where you can take part in a lot of philanthropic activities. Great place and very welcoming people! Questions anout Islam? They love to listen you and answer. Beautiful place. Largest mosque in Nroth America. Defiantly recommend visiting. truly the largest mosque in Canada. All praise belong to God Almighty. One of the largest and beautiful mosques in Western Canada.